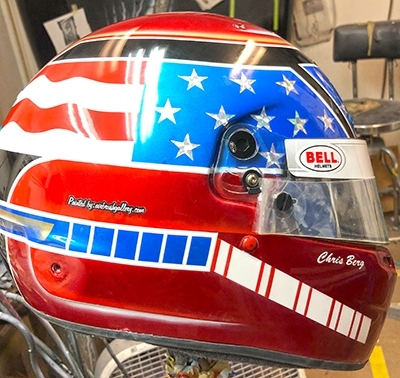 Bell race helmet-11-18 was done or Chris who works for Intercomp race equipment. 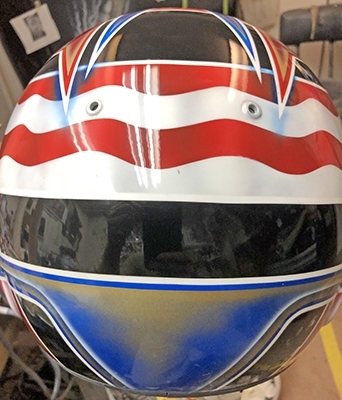 The helmet design I came up with uses the American flag as the center focus of the design. 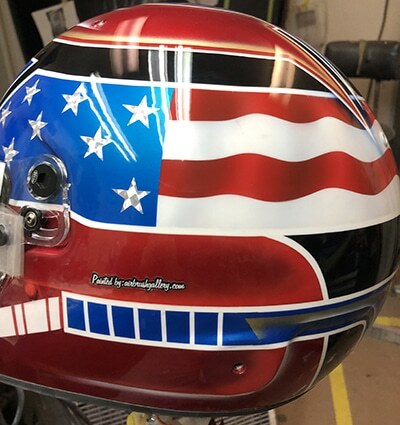 I made use of the colors in his driving suit and car graphics in the helmet design. 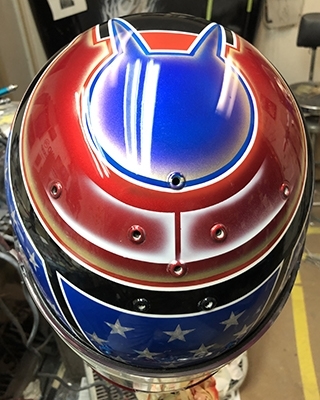 To get started on your helmet call or text 1-352-361-3403 today! !